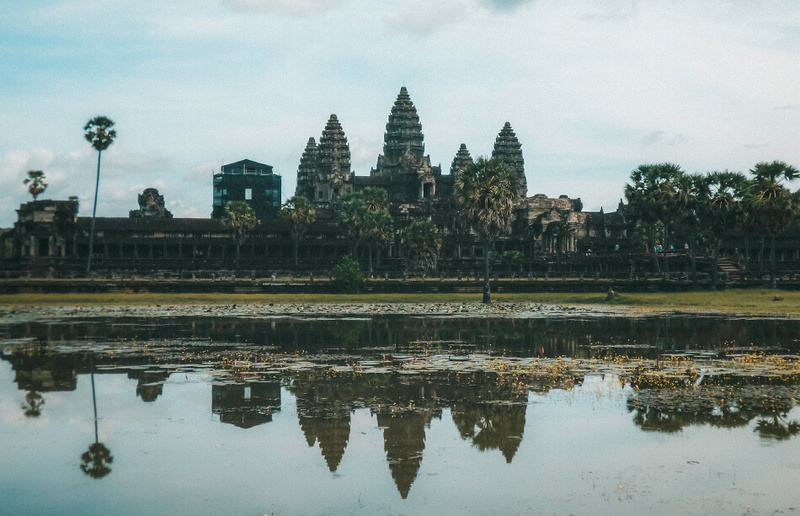 City of exotic snacks and gateway to Cambodia’s most precious attraction: Angkor Wat. But not the easiest city to get to from Laos’ 4000 Islands. But it can be, you just read along! 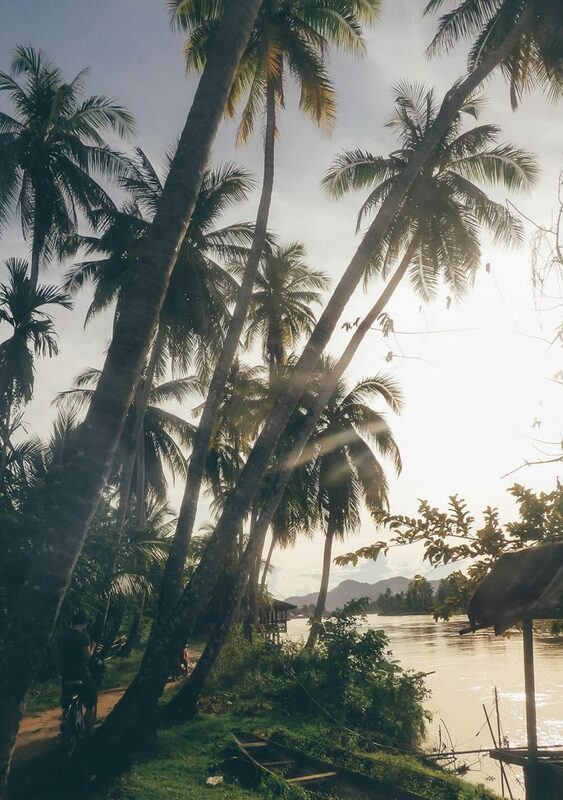 Our last days in Laos were spent on 4000 Islands, where the mighty Mekong River carved its way through nature. Over time, it’s power creating numerous beautiful little islands (we didn’t count them all ?). 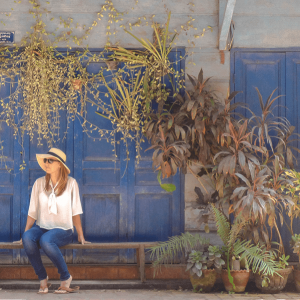 While we stayed on the Don Khone Island, we started preparing for one of the most challenging stages of our Laos-Cambodia trip: getting from Don Det to Siem Reap. Judging by the number of street vendors selling bus tickets to Siem Reap, it seemed to be a rather ‘easy’ thing to do. 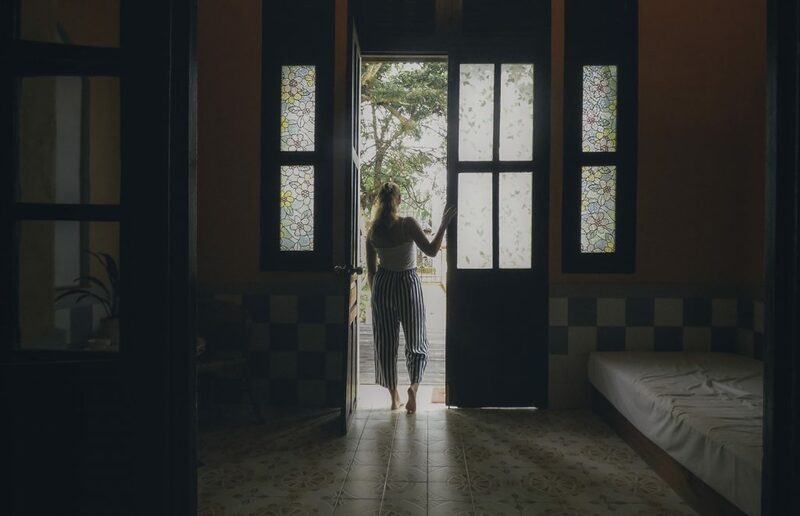 A plethora of vendors and an even larger offer of departure hours, old road or new road tickets and travel times gave us a seemingly abundance of choice. We quickly found out, however, that most of the diversification was total BS. All tickets sold by local vendors would ultimately lead to the same bus and same bus operator: Green Paradise Travel. 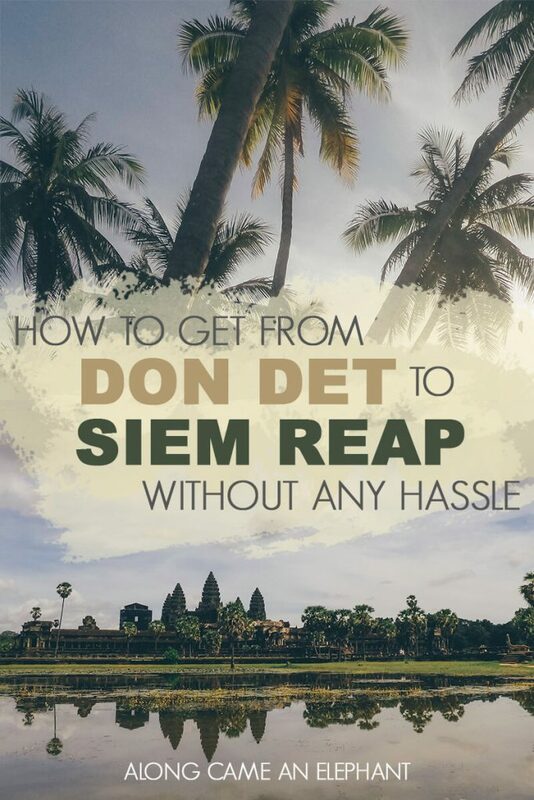 Though we traveled with Green Paradise Travel before and didn’t have any issues with them, the world wide web was full with negative reviews about getting from Don Det to Siem Reap. From transfers taking 14h instead of the promised 8h, from 3h lunch breaks in the middle of nowhere, to broken air conditioning,… you name it, it’s out there. This company sort of has a monopoly in Laos, leading to high prices (yet still moderate when you compare it to European standards) and keeping more qualitative competitors from Cambodia out of the picture. Like Asia Van Transfer (AVT), the company we ultimately chose for this endeavour. We had no intention whatsoever to spend more than 10h on a bus so we did some additional research and found AVT as an interesting alternative! 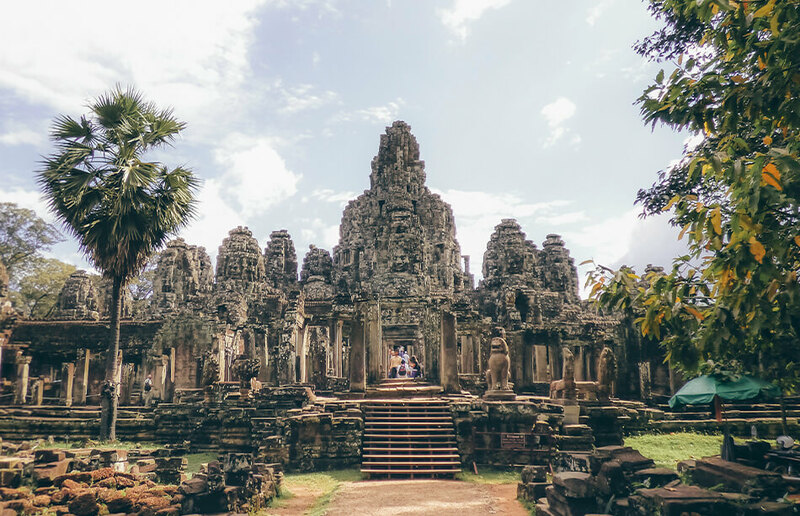 We contacted AVT through Skype (which they answered really fast, was easy and in smooth English) and discovered they offer a cheap (20$) and no-hassle transfer from Don Det to Siem Reap, our first Cambodian destination. We arranged our upcoming trip with them, meaning the leg from the Laos-Cambodian border to Siem Reap. They offer a daily departure from 11:30 at the Laos-Cambodian Border and arrival in Siem Reap at 7pm. We arrived somewhere between 6:30-7pm. We did needed to find transport to the border though. Three guesses which company we ended up using. That’s right… Green Paradise Travel ?. We stayed on Don Khone island and bought our ticket at one of the cafés, Chez Fred et Lea, who confirmed AVT’s reliability. 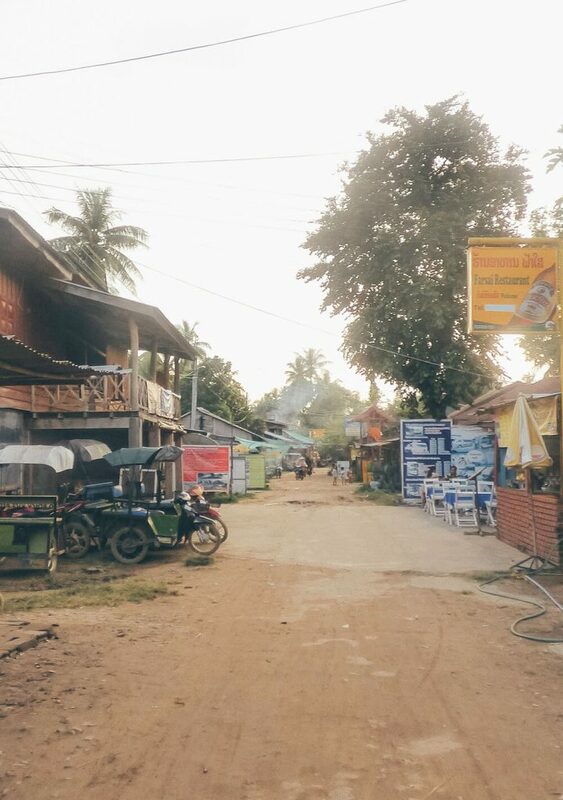 Upon booking we received very practical information on what we could expect at the Cambodian border and beyond, where we needed to go, … and also … on how the locals in Laos would try to discourage us from making use of AVT. The company remains working independently and refrains from bribing and other schemes. The ticket bought at Fred et Lea included a transfer by longtail boat via Don Khone and Don Det to the bus station in Nakasong. At the Nakasong bus station, all people traveling with AVT boarded a seperate minivan to drive to the boarder. All other travelers with Green Paradise Travel boarded a large bus. The AVT van was right on time and kicked off the first part of our trip on a good note. Based on the practical information AVT and the World Wide Web offered us, we knew the officials on both sides of the border would try to get some extra money from us. At the different stages of the visa application process we noticed their love for additional US Dollars. Yet we stood ground showing them all the necessary documents while clearly stating we knew we did not have to pay anything more than what was stated via official communication channels. Some bribes you just can’t get out of. 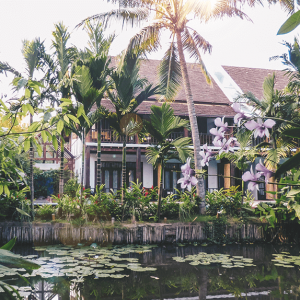 Expect to pay an extra 1$ per person just to get your exit stamp from Laos and the same for entering Cambodia. Do make sure you have your yellow card with you with the overview of all your vaccinations, … If not, it’s not the biggest problem, but it’ll cost you some extra $$$. You can easily get your visa at the border, the Cambodian e-visa is not valid for this broder crossing though! Our dollars provided the necessary ‘grease’ to make things run smoothly. It’s also not the most frequented border post, most people are hesitant trying this border crossing after all the drama they read online. In 40-45 minutes we were on Cambodian soil. Last tricky part of our journey: AVT vans are not allowed to cross the border (very open-minded regimes over there, as we already mentioned ?). So we walked like 300-400 metres towards some small wooden shops, one of them having an AVT sign in front. As AVT is a Cambodian company, they are not allowed to sell tickets in Laos but you can make reservation through their website. You pay your ticket cash when boarding the mini van. The AVT van picked us and the other passengers up in a minivan that seats 10 people. And it had decent air conditioning, haleluja! Crossing the Laos-Cambodia border might be the hottest 45min in the blazing sun we had to endure during our entire trip. It was scorching hot! We had a 45min lunch break at Stung Treng and then continued straight to Siem Reap, only stopping for a requested toilet break. Somewhere between 6:30-7pm we arrived in Siem Reap at the AVT office where, as promised, a tuk-tuk driver was waiting to offer us (free of charge) a ride to our hotel. Smoothly! They do try to get you to arrange a tour to Angkor Wat with them the next day but you are free to decline. So, we made it to Siem Reap and AVT delivered what was promised. All in all it went rather smoothly and we were very happy to have chosen AVT who delivered us on time, efficiently and most importantly, under 10h compared to the ‘normal’ busses ?. 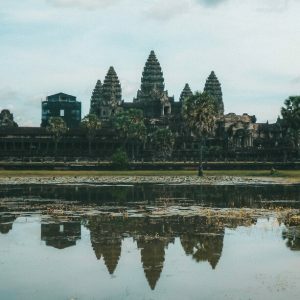 If you plan to go from Don Det to Siem Reap, do not hesitate to use AVT, it’s a legit and efficient company. Enjoy! Have you tried crossing the border from 4000 Islands to Sieam Reap? What was your experience? Why in gods name would you need a yellow card with all the vaccinations when crossing the border to cambodia? Yes, if you traveled to africa or south america which are yellow fever zones… otherwise there is no need for yellow card. Can you please enlighten me about this? Hi Aleksi, we’re no doctors but we were requested our yellow fever vaccination form when crossing the border by land from Laos to Cambodia. At the Cambodian border they’re pretty keen on making a few bucks so it’s probably just a trick. If you don’t have your vaccination form they’ll charge you 2$ but will let you pass. We were informed by AVT that this would happen when trying to cross the border. Thanks a lot for your lovely blog. 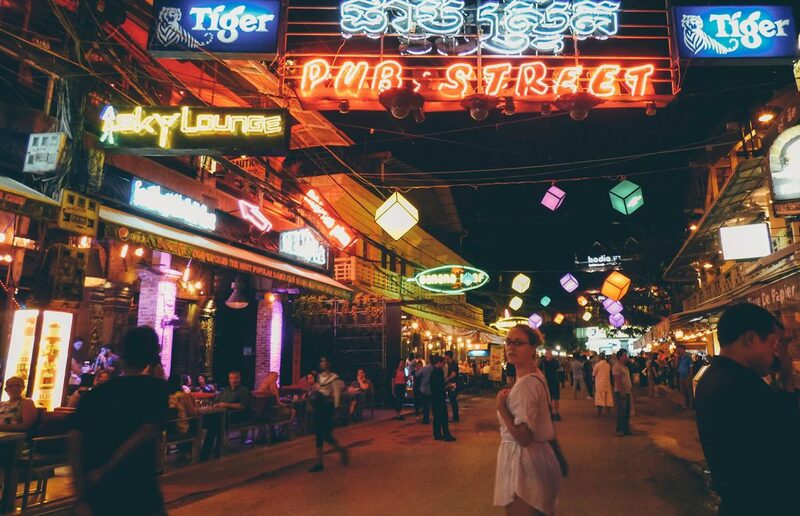 We just travelled through Laos and Cambodia and used a few of your hints. I’m sorry you felt afraid, that is not the experience we had! The last stretch when entering SR was more busy but we never felt unsafe. Hello, we (family of 4 with daughters aged 10 & 11) will be crossing the border into Cambodia in the next few weeks. I’d like to use AVT. I just had a question about the VISA paperwork. Did you complete it at the border or did you have it ahead of time. Also, did you have someone to help you through the process on the Laos side. 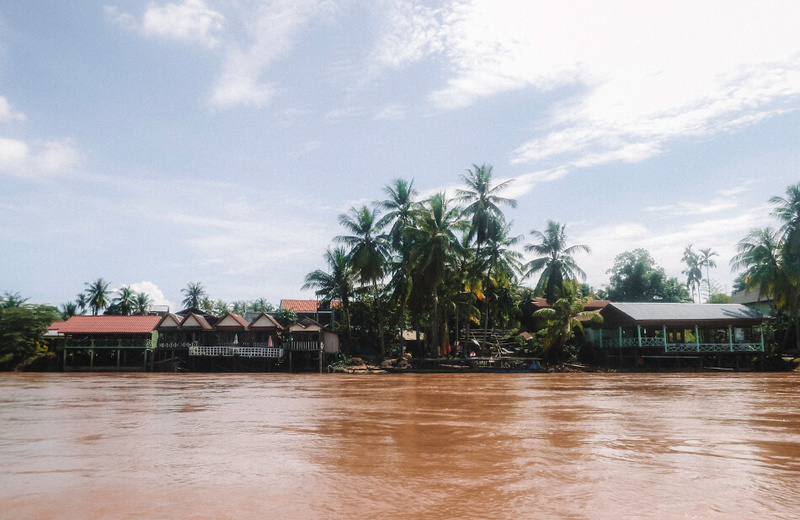 When we crossed from Thailand into Laos in the north to take the boat to Luang Prabang, we arranged transport to the border and someone met us and helped with the paperwork and explained what we should do next. I was just wondering if the process is similar at this crossing. We received a paper briefing by email with pictures explaining how to cross the border and what to expect. There weren’t any surprises for us, we followed everything step by step. This is specifically useful for the Laos border as the Cambodian employee cannot help you cross it, he will wait for you with the mini-van on the other side. He is there at the Cambodian border though but honestly it didn’t add any value for us. Everything was well explained in the paper work.